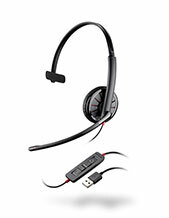 Plantronics Entera Wideband Monaural Noise-cancelling Headset is a audio device that has been integrated with wideband technology and noise-cancelling technology in the system. The former technology helps in making sure that users get to enjoy crystal clear conversations while the latter technology takes care of the noises that could come from the end of the user and makes sure that the user is heard clearly on the other line. 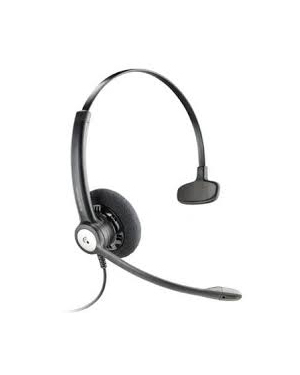 This is how this headset is effective to contact centres. The Plantronics Entera Wideband Monaural Noise-cancelling Headset is different from its binaural counterpart in a way where the monaural allows agents to talk to each other while the binaural headset totally blocks out background noises. This incredible headset is excellent and at the same time affordable. If you call our company hotline at Australia wide 1300 131 133, you will learn more details about this incredible headset. 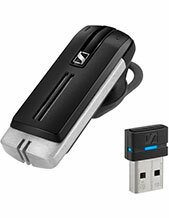 Plantronics has been a consumer and business audio communications frontrunner for over 5 decades now and since its establishment has focused on the development of devices and solutions that could support the most relevant audio needs and sound preferences of customers all over the world. These devices and solutions are ensured to facilitate and product clear and simple communications in a more distraction-free environments. 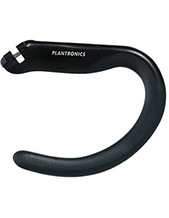 Plantronics operates in the global market with the aid of several employed experts worldwide. The company’s team is highly capable and has the zest for life that the company wants its employees to have. Headsetsonline Pty Ltd, an Australia-owned and –operated online store, is a powerful enterprise that is considered a new division of a well-known company that takes care of the sound and audio needs of corporate and government sectors in the country since the year 1998. The company has been operating for over a decade now and has become an expert in providing customers with the most ideal products and solutions that could cater to their needs. Headsetsonline delivers incredible and high quality products and services, primarily by making sure that the company choose Australian distributors and not grey imports, and secondarily by using years of expertise and customer knowledge in the market as its reference for its operations. The former makes sure that all products and solutions pass Australian standards certification with warranties that cover products and solutions all over Australia while the latter guarantees that the company only offers high quality services to support its product and solutions offers.